It has been a busy week! Do you have any little ones that started back to school this week? That's right only 2 weeks left in August. Lots to do! I'll be sharing it all with you in the next couple of weeks. You all look like you've been very busy creating! 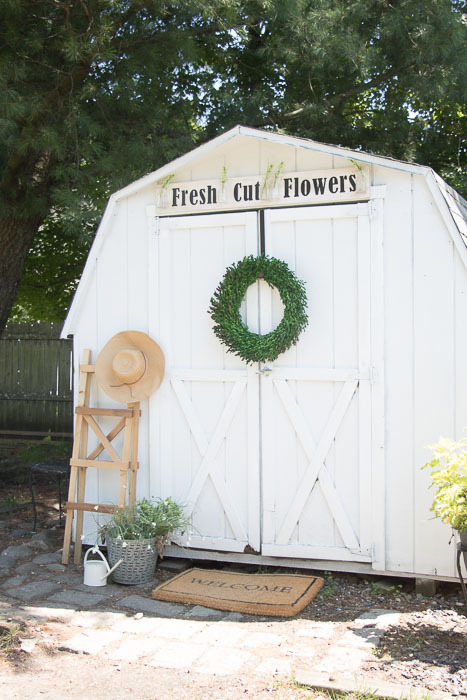 Well, Welcome to Shoestring Elegance and the What to do Weekends Party! Debby Goes Shabby always beautiful with her Beautiful Summertime Rack, you have to go check out what she did. Designs by Pinky shared this adorable tablescape, she calls, Black, White and a Touch of Green at the Table. So sweet! 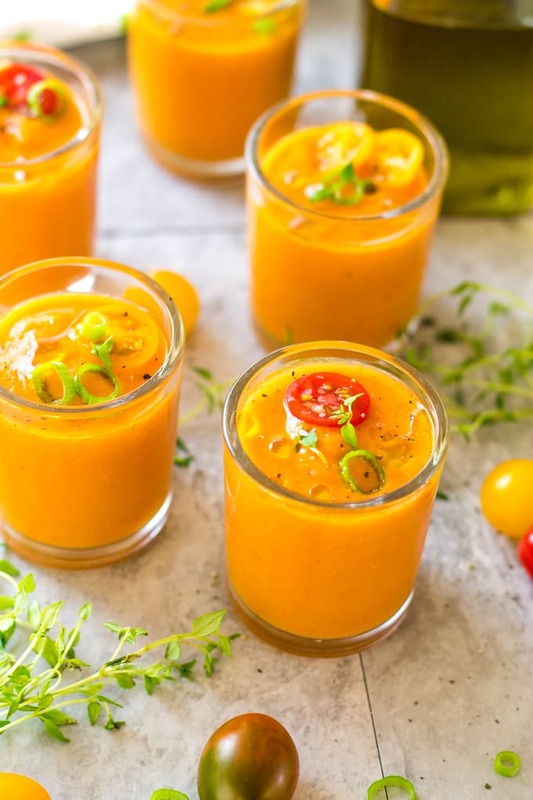 Take Two Tapas shared these yummy Roasted Tomato Gazpacho Shooters. These look so yummy! 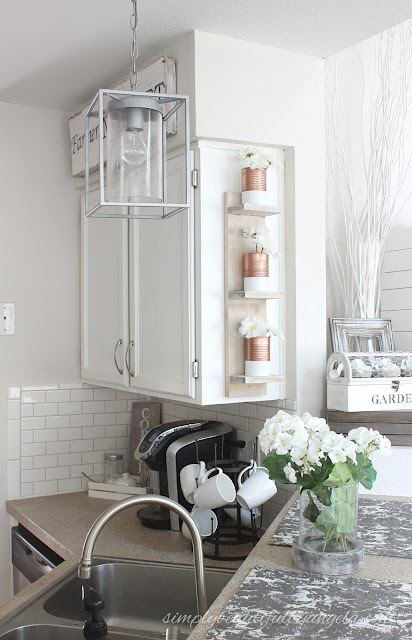 DIY Shelves with Copper Dipped Cans. I love a great can redo! 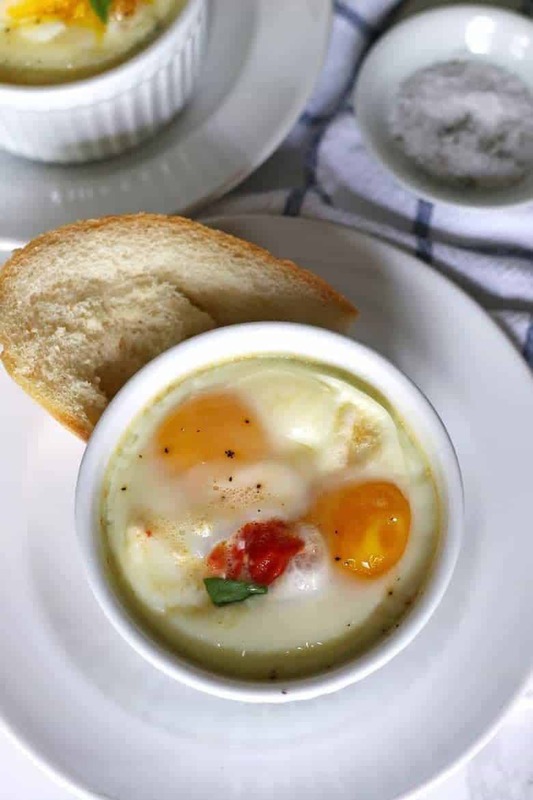 Honey and Birch shared her yummy way of making these Caprese Baked Eggs! Yes, Please! Love the intro and thank you so much for the feature. All the features are beautiful and I love your party each week! Thank you so much, Debby! I love having you here with us. I can't wait to see what you're linking up each week! Please keep coming back! Happy weekends! Thank you, Debbie, so glad you're joining us! Thanks for being here, Laurie! Thank you so much, Beverly. I'm so happy to see your beautiful comment each week! I'm so glad you join us at this party! Thanks for hosting, so many inspiring linkups!